Many may confuse last will and testaments with living wills. The primary difference is that living wills state your wishes for medical care if you are incapacitated. Living wills include do not resuscitate orders, also known as DNRs. You are not required to have a last will and testament in North Carolina. Without a will, your estate is subject to intestacy, which leaves distribution of your property and assets up to the courts. In these cases, all real property, assets and debts are passed to a living spouse. If one is not available, the court will award it to the children and continue through living relatives until a proper recipient is found. Any wishes you have for distribution of your estate must be captured in a last will and testament to ensure all details are carried out on your behalf. A heathcare power of attorney provides another avenue for your healthcare treatment wishes to be fulfilled through an agent acting on your behalf. Healthcare powers of attorney give another person the ability to make decisions about your treatment. A living will has the power to override powers of attorney. Your healthcare power of attorney is just one form of power of attorney. If you are mentally incapacitated, you have the option for a general power of attorney to see to handling the day-to-day matters of your life, such as your finances and health care decisions. Another tool to see to your affairs is having a HIPAA release. This document designates authorized people to obtain your medical records. This can help keep your loved ones and personal representatives in the loop regarding your medical condition. Making a plan for the difficult choices ahead doesn’t have to be difficult. With the expertise of an estate planning attorney, the unfortunate – yet not unlikely – circumstances can be more easily overcome. Your family depends on your making the right choices, and The Neagle Law Firm wants to give you every chance to do so. Board-certified estate planning attorney Thomas J. Neagle treats every estate planning matter as unique. He offers his years of experience so you can not only make plans but the right ones. As a board-certified attorney, Thomas is one of the top estate planning attorneys in North Carolina. He stays on top of any changes in estate planning laws to place your future on solid ground. Take care of your future now. 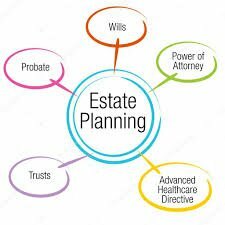 Contact The Neagle Law Firm to set up a consultation with a board-certified estate planning attorney. Thomas J. Neagle will help you understand the possible shortcomings in your future and assist you in choosing the right plan of action to deal with them. Call The Neagle Law Firm or fill out the form on this site for a chance to sit down with Thomas today.